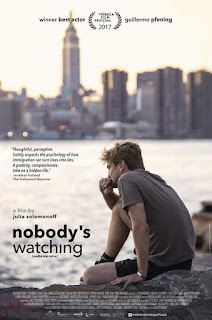 Nico is a famous actor in Argentina, but in New York, nobody takes notice. After giving up a successful career in his home country for a chance to make it in the Big Apple, he needs to juggle bartending, babysitting and odd jobs to keep himself afloat. Starting from square one is hard in the city of dreams. With each role Nico takes on, he puts on a new persona in order to fit in. He performs the ideal bartender, the up-and-coming actor, the friend, the father figure. But when old friends from Buenos Aires come to visit, he needs to juggle the image of his old life with the reality of the struggling actor in New York City. Thanks a lot, Marcus & a happy New Year to everybody! This is sad movie not only about relationship but about life in general, the struggle of life. Thank you again. You are amazing.